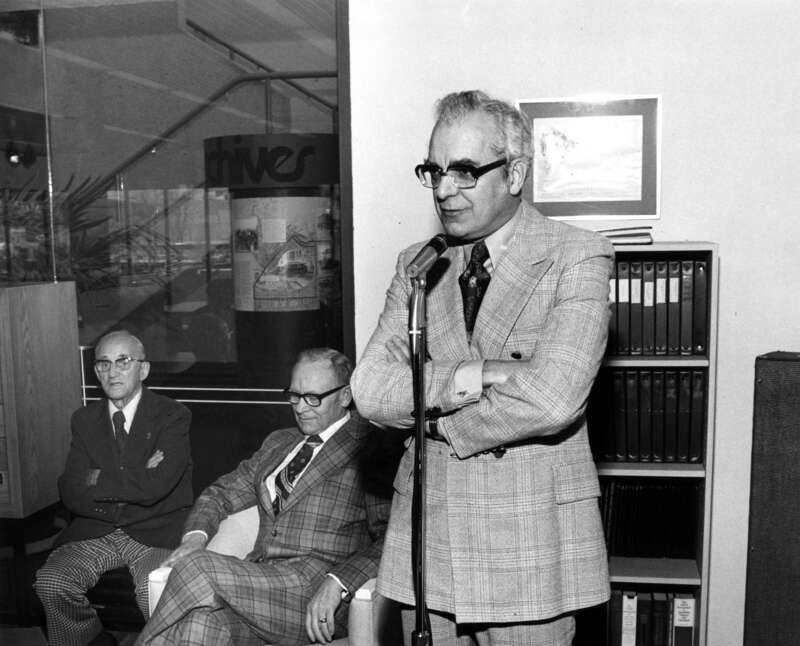 Item is a photograph of City Clerk Doug Little addressing a group of members of the Vancouver Pioneer Association at their Incorporation Day celebration at the Vancouver City Archives. 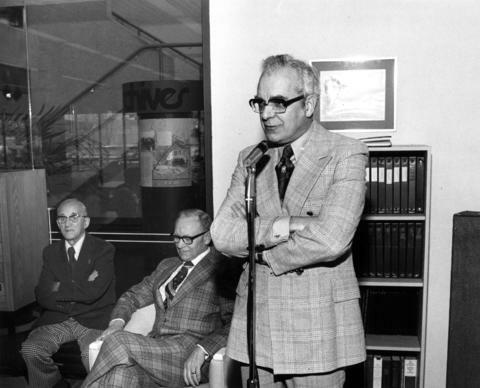 Stephen Gordon "Pete" Brown (left) and Deputy Mayor Hugh S. Bird (right) are seated in the background. Purple stamp on verso: "B.C. Jennings Ltd. / Photography / 733-1212 / 1616 W. 2nd Ave. Vancouver, B.C. V6J 1H4 / File No. 7248 Roll A Negative 9"